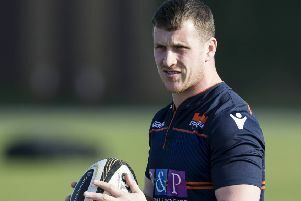 Edinburgh Rugby and Scotland could be set for a boost this weekend with the potential return of key men Hamish Watson and WP Nel to competitive action. Watson, the 27-year-old back-row, has been out of action since January 18 with a fractured hand suffered against Montpellier in the Heineken Champions Cup pool match, while tighthead prop Nel, 32, has not played since he picked up a calf injury on international duty against Italy on February 2. 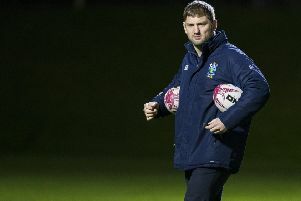 With Scotland needing some good news ahead of their matches with Wales (March 9) and England (March 16) the return of the men with, respectively, 23 and 27 caps would be welcomed by head coach Gregor Townsend. Rounds four and five of the Six Nations will come too soon for John Barclay and Matt Scott, another two Scotland caps, but they are making good progress as Barclay battles back from a ruptured Achilles and Scott a concussion issue. Indeed the back-row, and centre, could be in contention for the PRO14 match with Leinster on March 22 and, if all goes well, the Champions Cup quarter-final with Munster eight days later. “Matt Scott is training fully and we are hoping he will be back for Leinster. John Barclay is starting to train into units and teams so he is starting to make really good progress,” Cockerill stated. For this weekend’s game full-back Dougie Fife should recover from a head knock in time to play while second-row Ben Toolis, winger Darcy Graham, scrum-half Henry Pyrgos and centre Chris Dean should all be available. One man causing a bit of bother is winger Duhan van der Merwe though, the big South African is nursing a nasty slash on his knee cap which could take a few more days to heal. With the contract of key man Viliame Mata extended until 2021 earlier this week, Cockerill’s attentions have now turned to players such as Watson and Pyrgos and making sure they re-sign past this May. “All the lads we want to keep are all in process to stay, as simple of that,” the Englishman said. “We’re a long way down the road of getting those guys sorted for the future. “We need to be better, because we’ve lost games which we shouldn’t lose, which makes the end of season very, very hard for us.